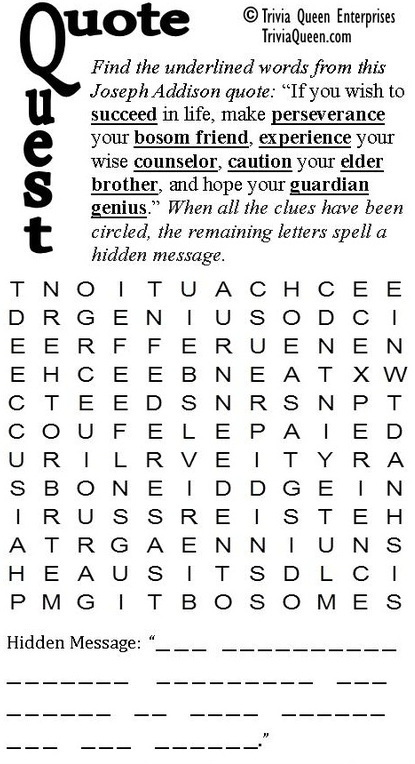 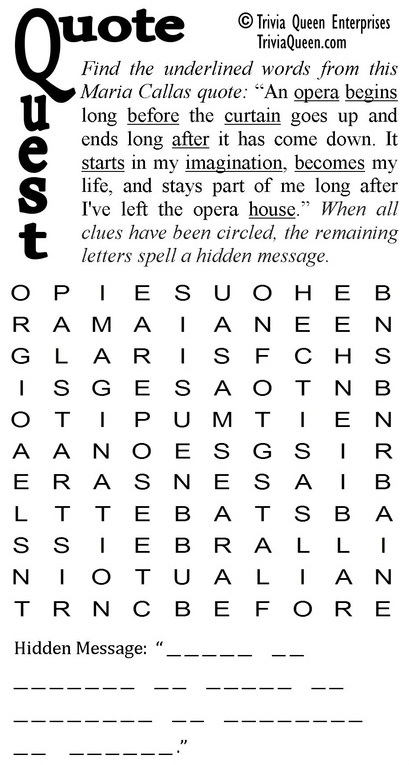 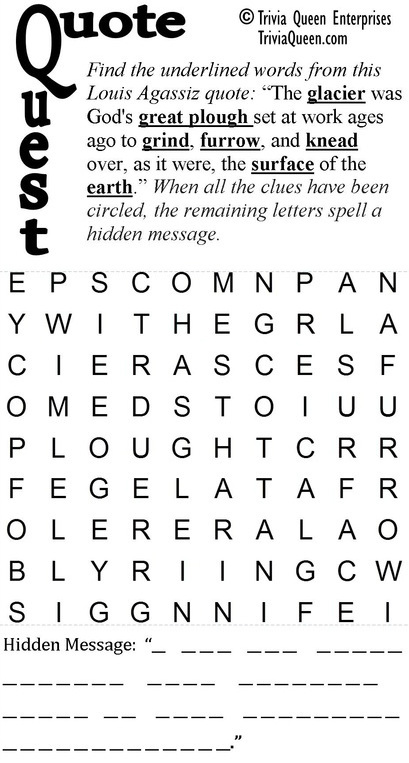 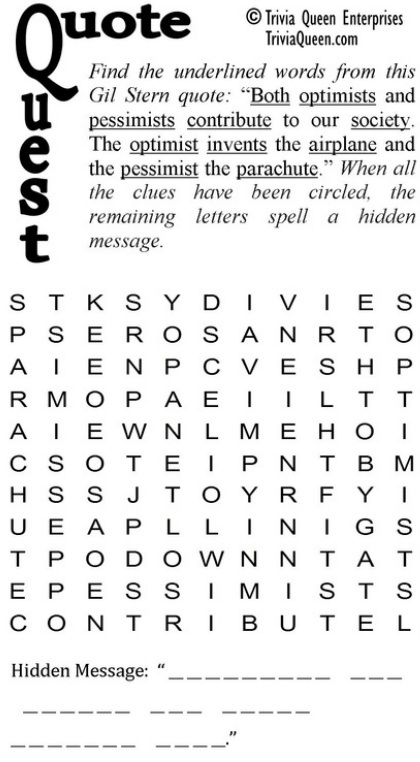 Quote Quest puzzles are a fun double-puzzle, similar to a word search, but with an inventive twist. 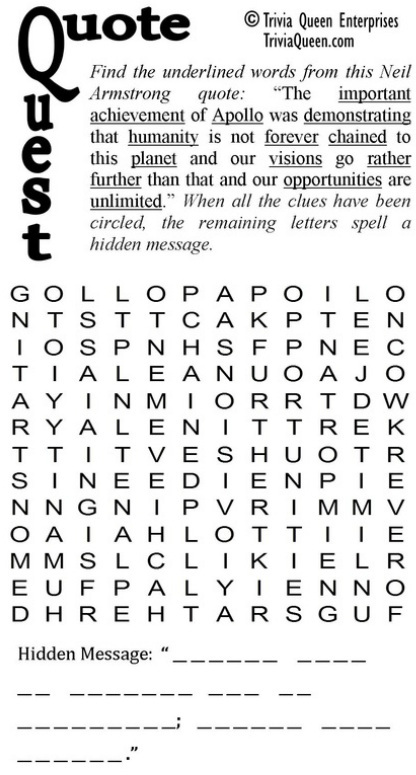 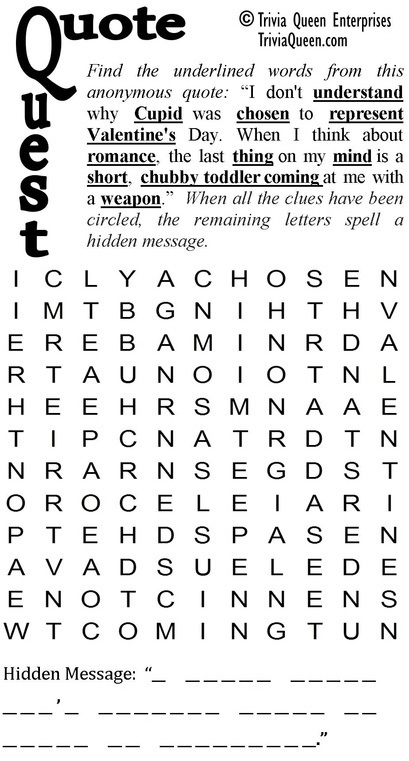 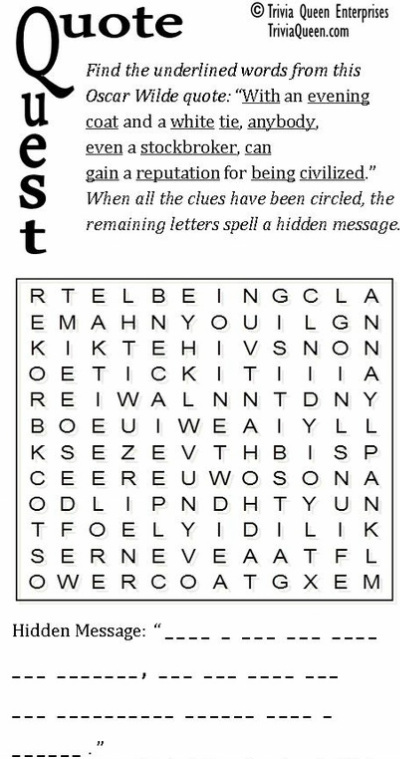 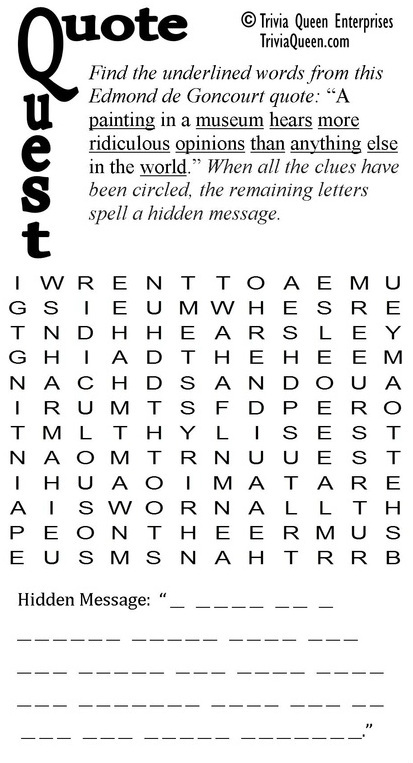 Once you find all the hidden words from a famous quote, the uncircled letters that remain in the word square will spell out a second, related quote. 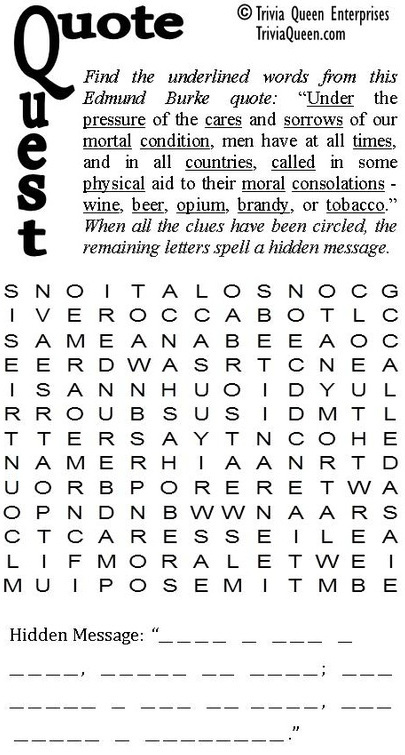 Here are a few samples for you to try! 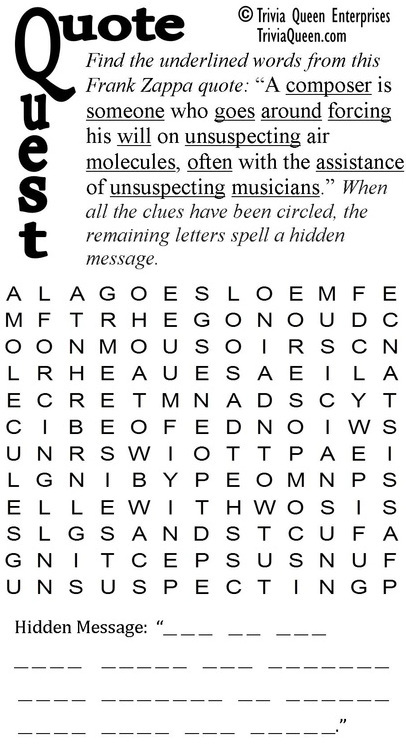 To print them out in order to solve them, just right-click to save them as JPG images on your computer. 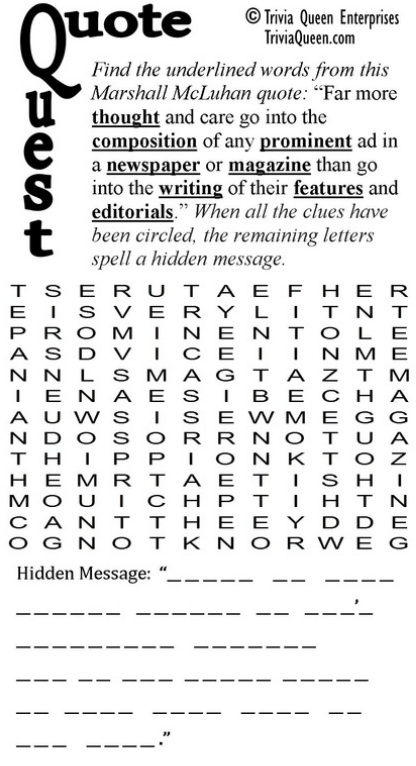 If you'd like to be on our mailing list to be notified when Quote Quest books become available, see the contact page of this website to send us a note, or just drop us an email by clicking here.